Company cars, for a while now, have been used by businesses as a helpful perk for valued employees. The employee gets a free way to get around and get to work, while the employer gets to reward its workers in a tax-efficient way. But that may be changing now. Taxation is rising on company cars, and businesses are beginning to look for alternatives. A common one is to, instead of car, give the employee a cash ‘car allowance’ to help them pay for a car or its running costs. But does it work as well? In this article we run through the options and their benefits. There are several ways a business might acquire a fleet of company cars. Vehicles can be hired, leased, offered by salary sacrifice, or simply purchased outright. Although the company car scheme is a fairly traditional form of perk, it is still considered by many to be a very effective method of maintaining employee satisfaction. In fact, official figures show company car usage is increasing. So why should you consider offering a company car, and what should you be worried about? By offering a company car, not only can you incentivise staff in line for promotion, but you can also attract talented staff and increase retention rates. Indeed, in a study by GE Capital Fleet Services, 64% of respondents indicated they were less likely to leave their current job specifically because of the company car program. Additionally, it provides employees with peace of mind, knowing that many of the costs, insurance claims and maintenance will be taken care of on their behalf. Many businesses place great value on image, and often this extends to the image of its employees. By having control over what vehicles your employees use, you have control over that area of your company’s image. Additionally, as you are responsible for maintenance, you gain control over the reliability and performance of your fleet of company cars. Owning the vehicles in your fleet can give you greater access to information and insight into the cars than you would have if they were employee owned. Because of this, you can help to ensure that the vehicles are well maintained, safe and reliable, but also running as efficiently as possible, saving you money. Not only can the purchase of a fleet require a considerable amount of free capital, but all vehicles are also subject to depreciation. Leasing does not come without its risks, as this usually requires an inflexible contract that would leave you liable should circumstances change. You are also required to pay running and maintenance costs, which would be covered by the employee if they purchased the car themselves through a car allowance scheme. It’s a rare to find someone who genuinely enjoys admin, and a significant burden of a company car scheme is the amount of paperwork that comes with it – costing businesses both time, and money. Of course you could always outsource this, or turn to a telematics system that will take care of much of the admin automatically. As mentioned previously, if you purchase a car for an employee whose circumstances change, you could be stuck with a rapidly depreciating asset. Similarly, if you are leasing your fleet, you are stuck in that contract until your lease agreement ends. From your employee’s perspective, the company car program does not necessarily allow them to select a vehicle that best suits their needs. So, company car schemes certainly have their advantages and disadvantages, but how do they compare with car allowances? Car allowance schemes work by offering the employee cash on top of their salary, justified on the basis that they need a car for their position. They can use that cash to pay for a car, or maintain it. By offering a car allowance instead of a company car, employers rid themselves of the burden of lengthy lease contracts, and reduce the risk of being stuck with a depreciating asset they can’t use. With an allowance as opposed to a company car, employees are able to choose a vehicle that is both cost effective and suitable for their lifestyle. Many drivers will use the vehicle for personal as well as professional use, and therefore the flexibility to choose their own vehicle is looked on favourably by many employees. A lot of the admin responsibilities are left up to the employer in a company car scheme, and this responsibility is shifted back to the employee if a car allowance program is used instead. Employees would be responsible for keeping track of mileage, maintenance checks, and other administrative duties. This reduces costs, and time invested by the employer. 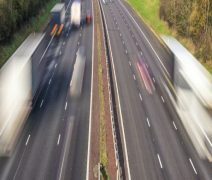 While your business may not own the cars, it is still responsible for ensuring all every one in the fleet is safe, well maintained and of course, legally roadworthy. In any case where it can be shown that through the use of a poorly maintained vehicle, employees have put themselves or others at risk during a work-related drive, your business will likely be liable. It is therefore important to ensure that employees are fulfilling their obligations to maintain the car, and this often easier said than done. Contrasting the major pro of a company car scheme, a major con of a car allowance scheme is that employers have less control over employee compliance. Using a car allowance scheme runs the risk that your employees will not keep up to date with maintenance and other administrative duties, and you would have very limited visibility and control over these processes. With drivers choosing vehicles based on individual needs, and maintaining their appearance to differing degrees of detail, you have limited control over maintaining a selected brand image. Furthermore, because maintenance and upkeep falls on each individual employee, they are likely to tighten their purse strings at any possible opportunity, potentially increasing the risk of tarnishing the company’s brand image, or exposing it to legal issues. So, is there a clearly better option? Well unfortunately, that depends on which scheme works best for your specific business model. You will need to weigh up the pros and cons in light of your company’s capabilities, resources and objectives. Although, irrespective of which method you choose, you should always keep in mind that you are ultimately responsible for your fleet when it is being used for business purposes.